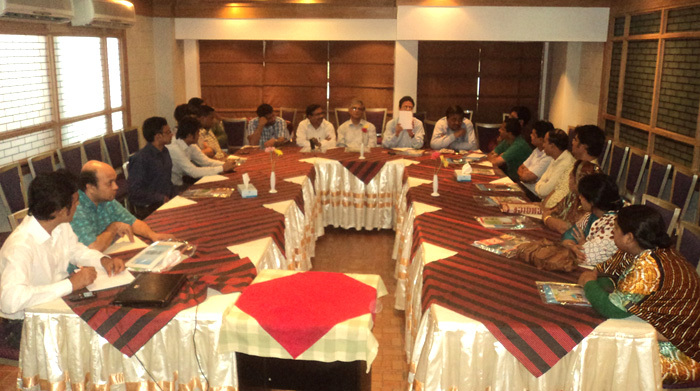 YPSA and United Forum Against Tobacco (UFAT) jointly organized a meeting on Anti tobacco Program at Well park hotel and restaurant in Chittagong on 26th July’12 with the assistance of Campaign for Tobacco free Kids (CTFK). The meeting was presided by Dr. Md. Abu Taiyub, Civil Surgeon of Chittagong district while Dr. Shekh Sahabuddin Ahmed, Divisional Director-Health, Chittagong Division was present as chief guest. Mr. Ehsan E Elahi, Additional District Commissioner (General), Dr. Salah Uddin Mahmud, Assistant Director (Admin), Divisional health office and Md. Sayed Hossain, Deputy director, District Information Office were also participated as guests. Councilors of Chittagong City Corporation, smoke free coalition members and different government officials also participated in the meeting. In the meeting, Mohammad Ali, Program Officer of YPSA has shared harms of tobacco uses, Tobacco control law and some recommendation for comply the law through a power point presentation. Besides that a video on tobacco harms produced by NHF also presented in the meeting. Dr. Sazzad Bin Yusuf, Coordinator of UFAT, Chittagong district has shared UFAT activities.